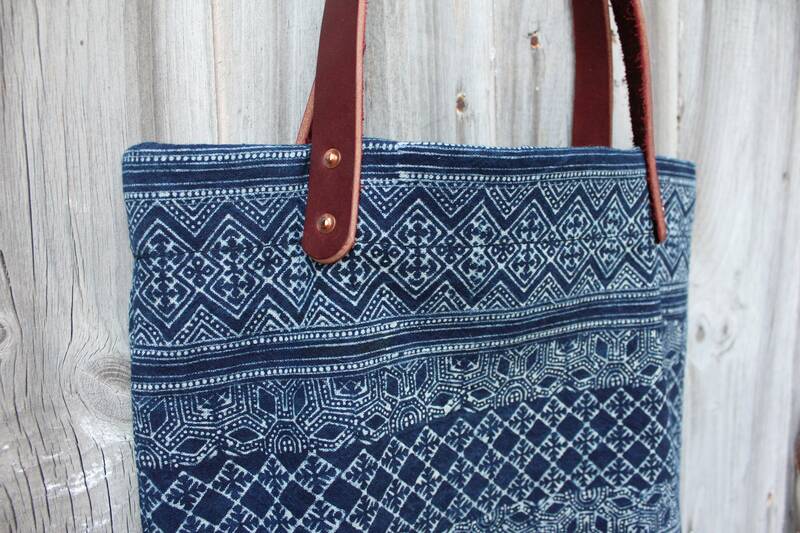 We chose this vintage Indigo Batik cloth from the Hill Tribe in Hmong Vietnam to create this one of a kind tote. 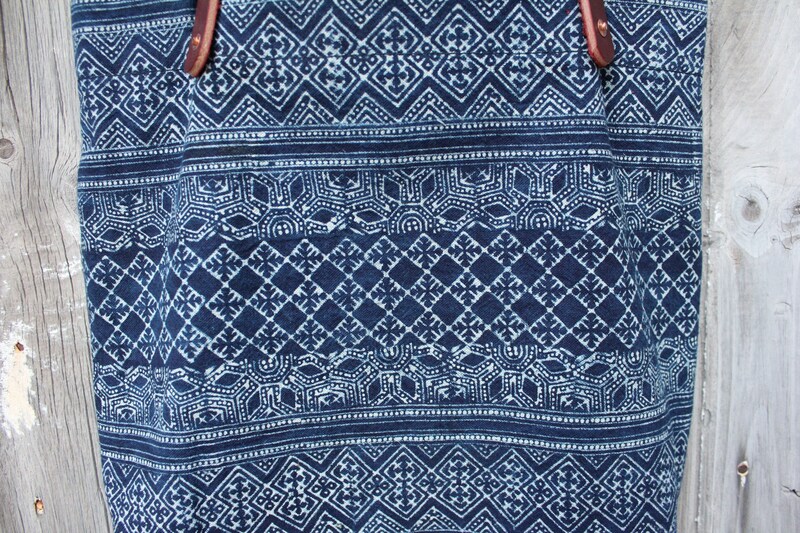 The pattern is so beautiful and the textile is in amazing condition. 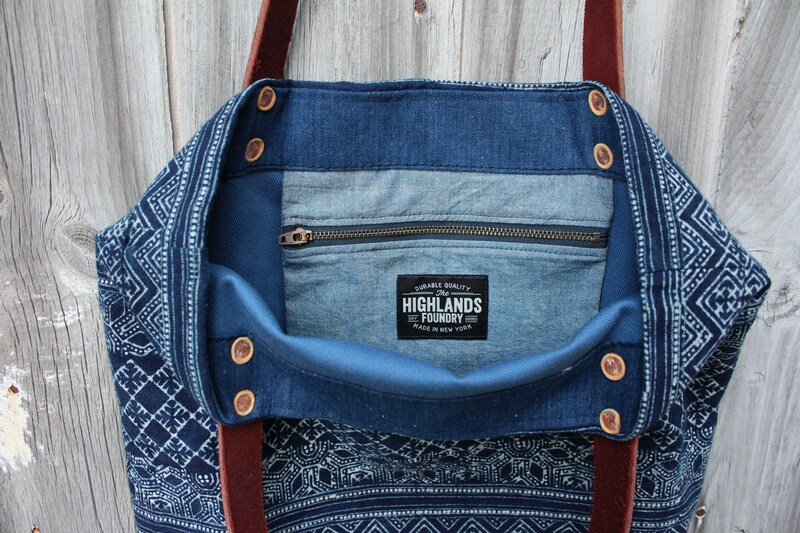 We blocked the bottom of the bag with vintage selvage denim from the 1970s. 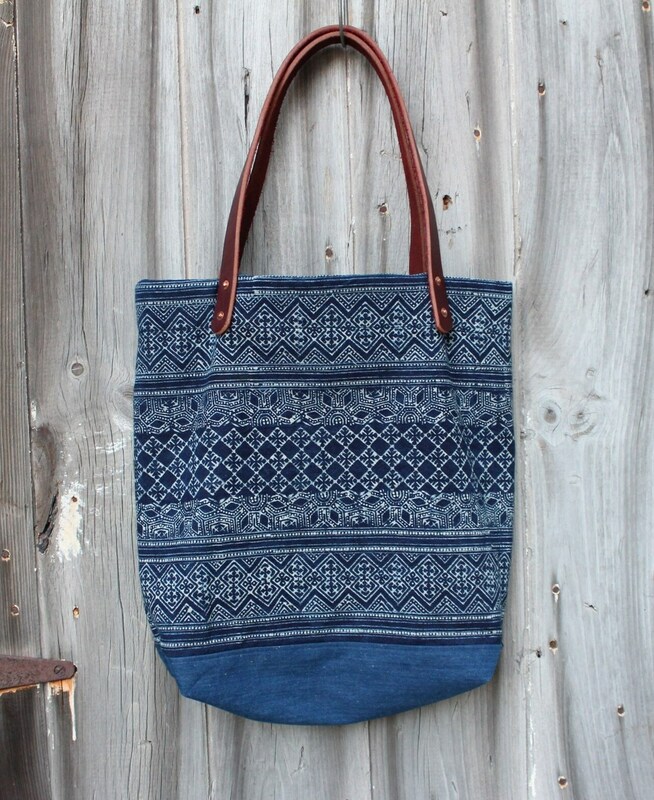 The bag is fully lined with a light weight blue denim and has an interior zipper pocket made from chambray cloth. 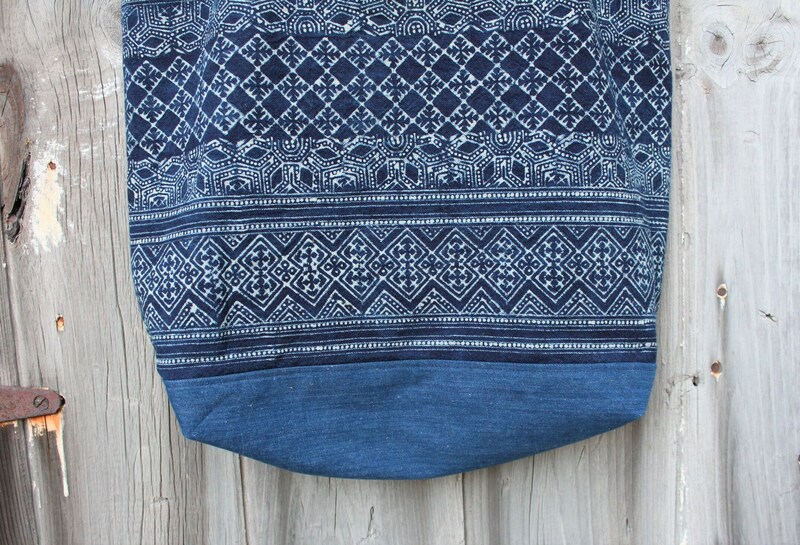 The straps are made from a 9 oz. brown latigo leather and secured with copper rivets.